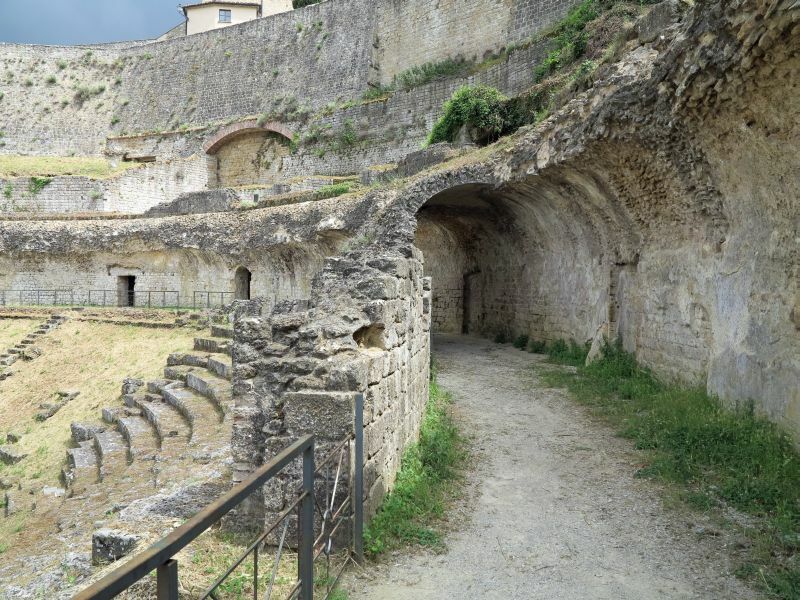 Volterra, known to the ancient Etruscans as Velathri, to the Romans as Volaterrae, is a town and comune in the Tuscany region of Italy. 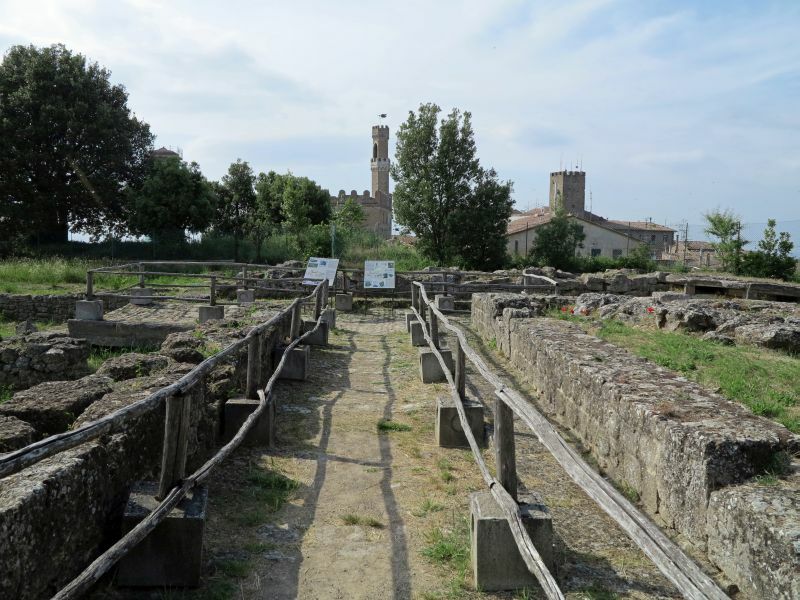 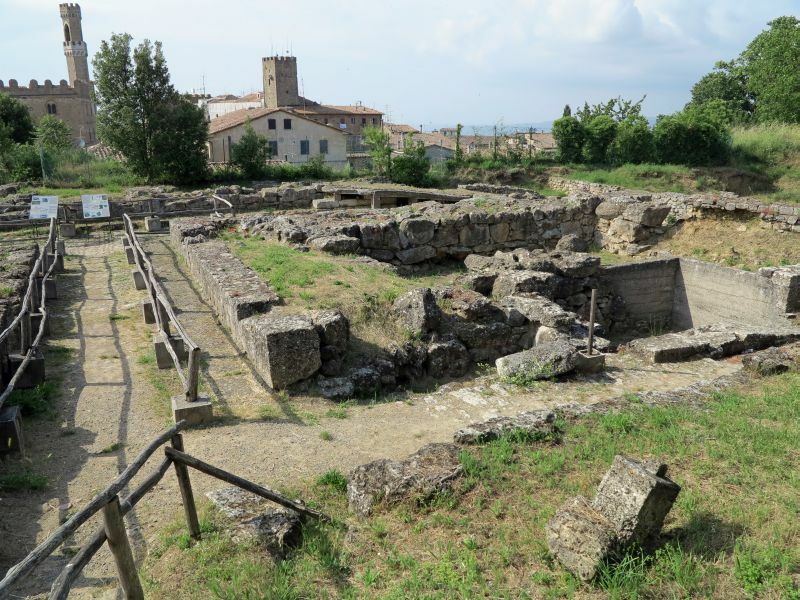 The town was a Neolithic settlement and an important Etruscan center (Velathri or Felathri in Etruscan, Velàthre, Βελάθρη in Greek) with an original civilization. 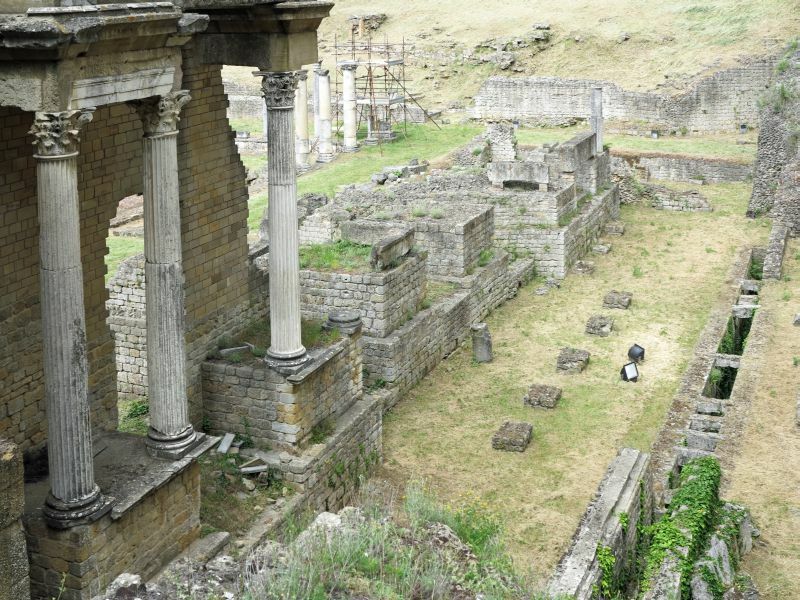 The site is believed to have been continuously inhabited as a city since at least the end of the 8th century BC. 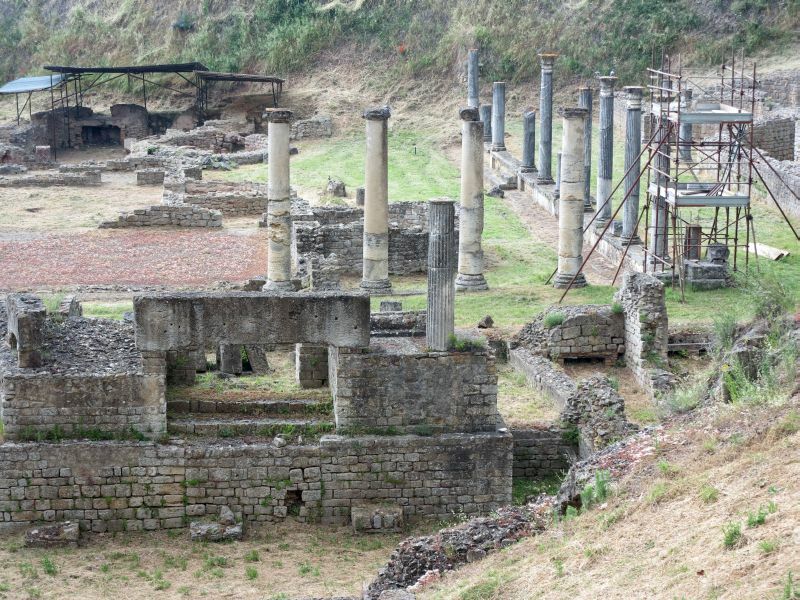 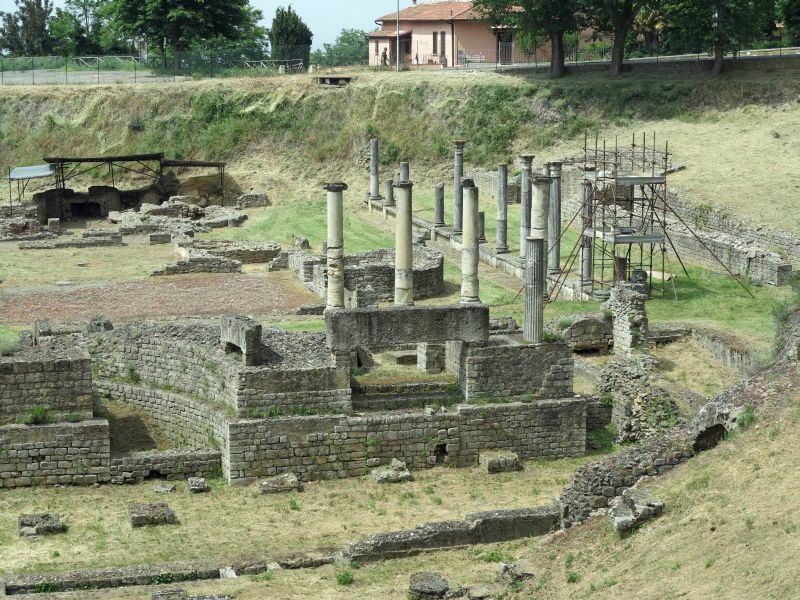 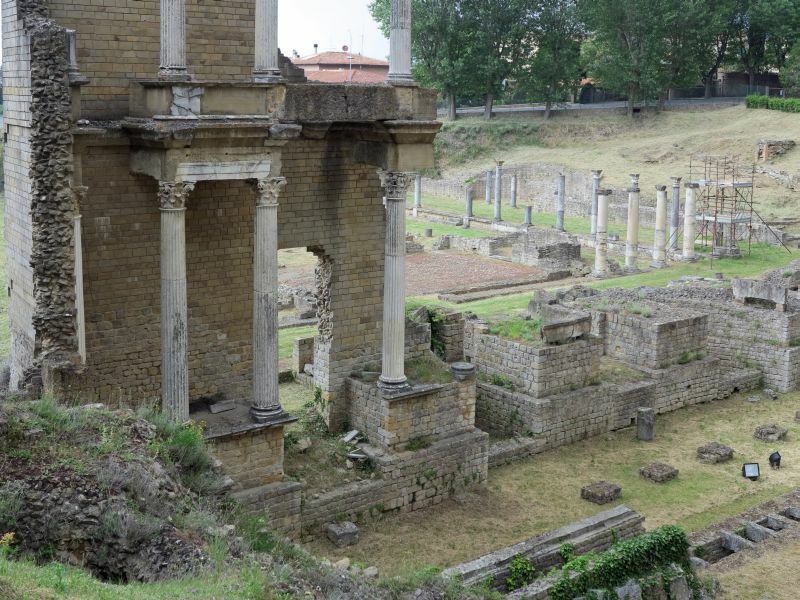 It became a municipium in the Roman Age. 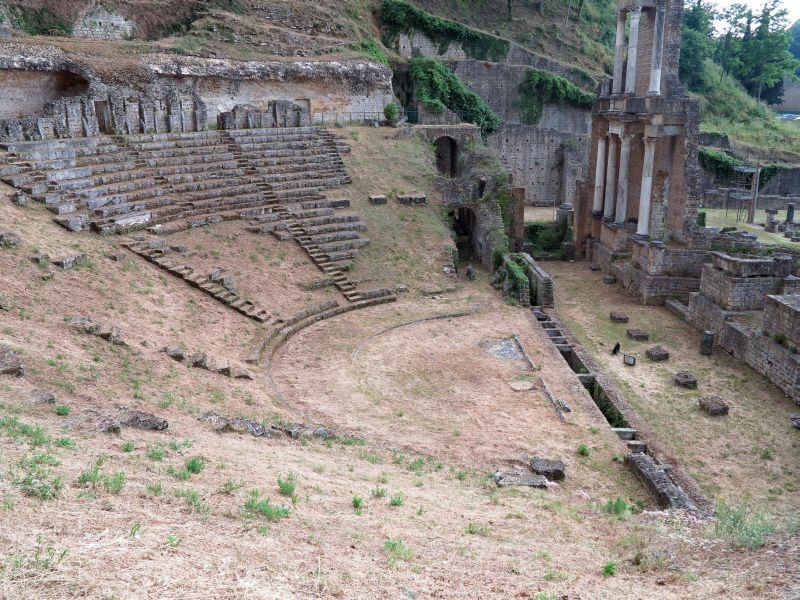 Built in the Augustan age thanks to the financing of two members of the Caecina family, as demonstrated by an epigraph found here, the Volterra theatre stands in a position that, in keeping with the precepts codified by Vitruvius, takes account of both the exposure to sunlight and the scenographic effect of the surrounding landscape. 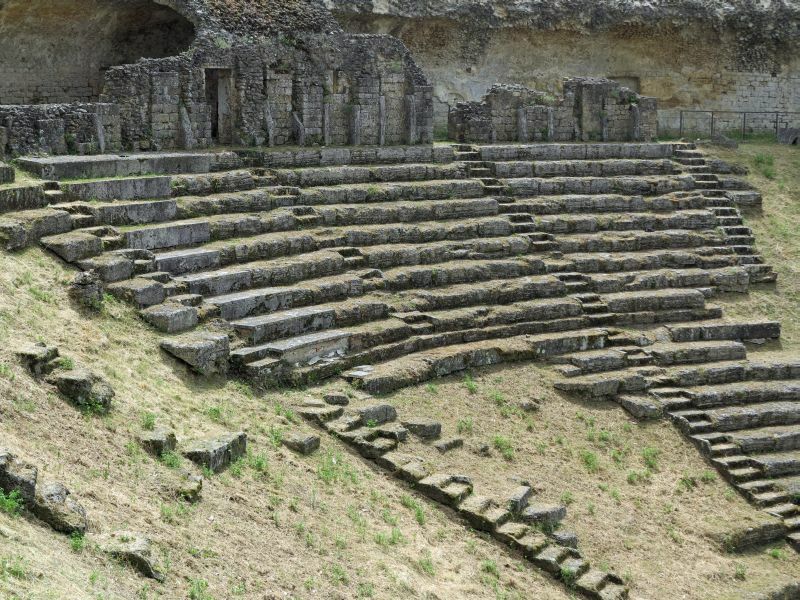 The cavea, in fact, has a northern exposure and exploits the natural contour of the hill to good advantage to attain excellent acoustics. 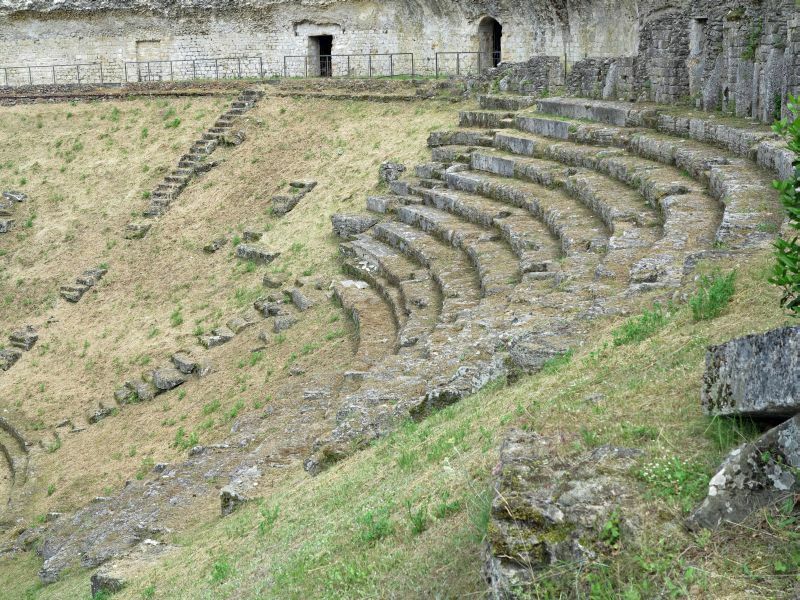 The tiered steps of the theatre, following the slope of the hill, show a particular two-tone colour scheme, obtained by alternating the limestone of the seats with the dark lava stone of the access corridors. 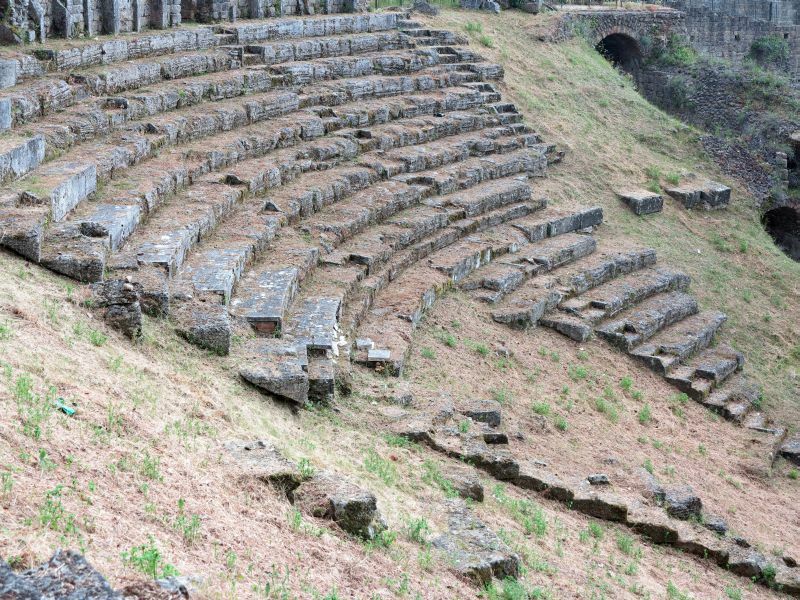 Still well preserved between the cavea and the proscenium is the channel that held the curtain (aulaeum) which in ancient theatres, unlike modern ones, was lowered at the beginning of the performance. 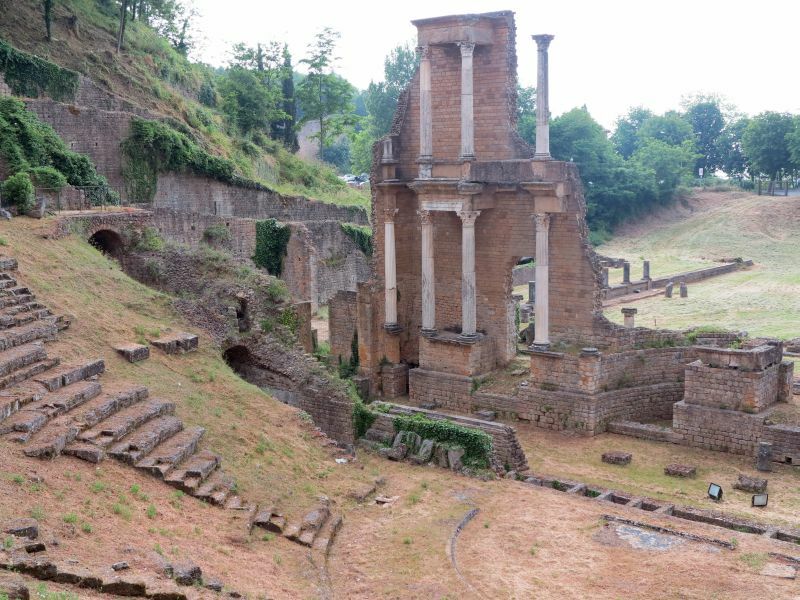 Clearly visible also are the vaulted corridors that served to connect the stage to the external vestibules, and the two-storied scenae frons, originally tiled in marble and adorned with statues, today partially raised again thanks to a modern restoration initiative. 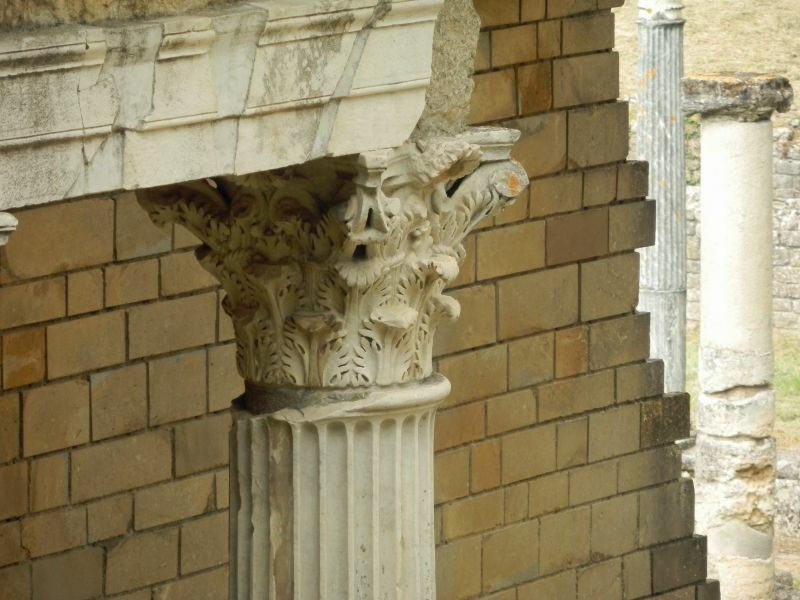 Of the original sculptural decoration there remain two heads of Augustus and one of Livia, kept in the Guarnacci Museum. 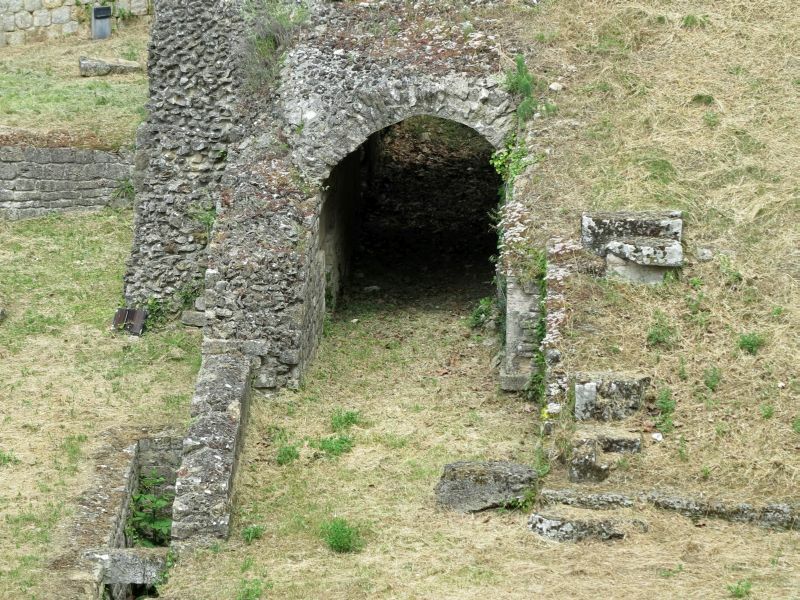 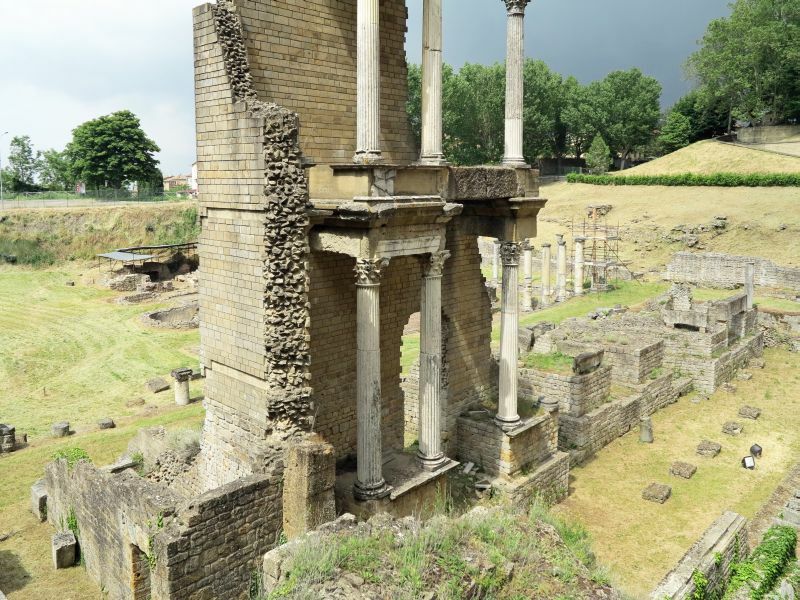 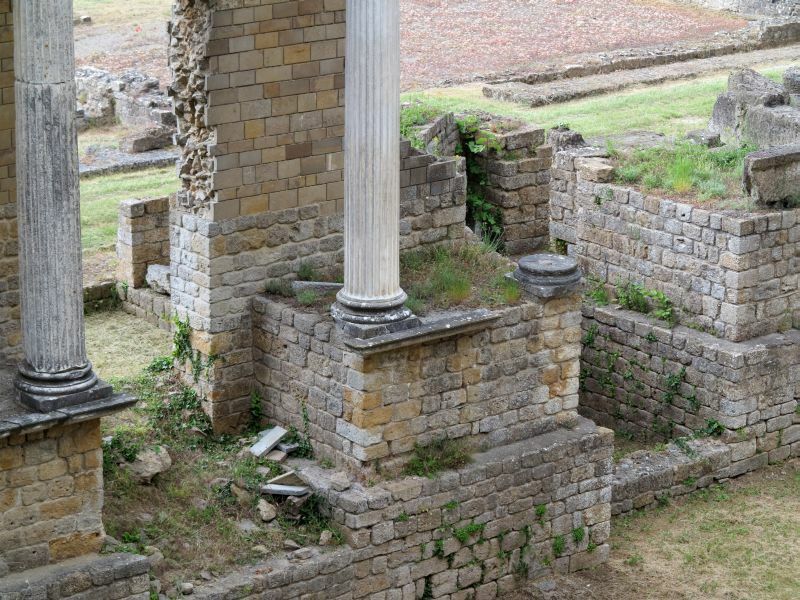 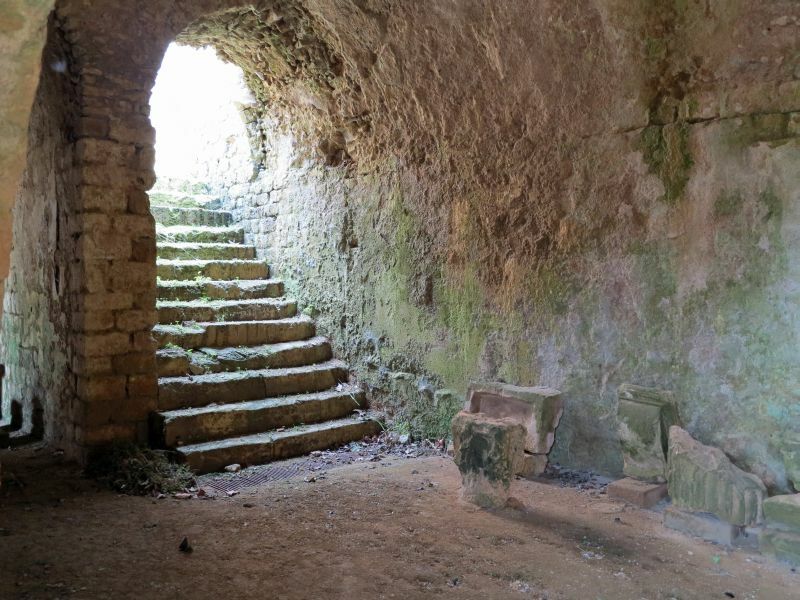 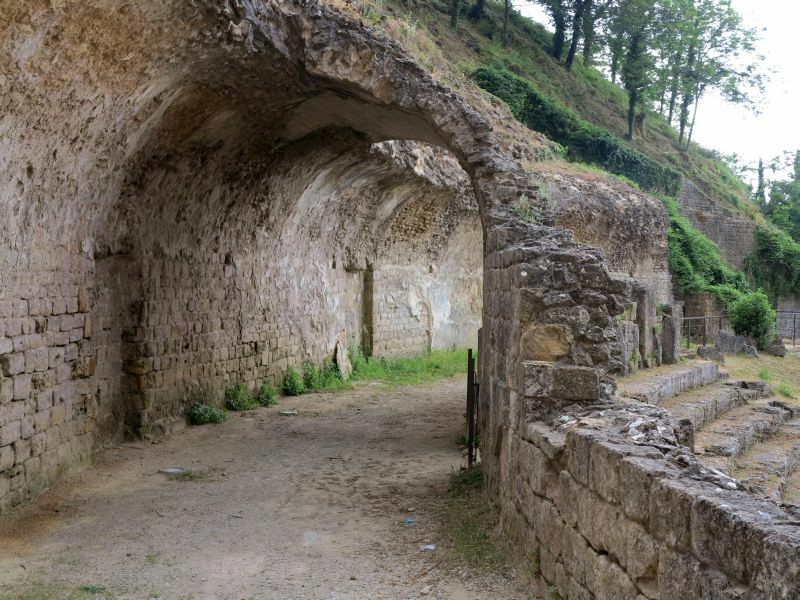 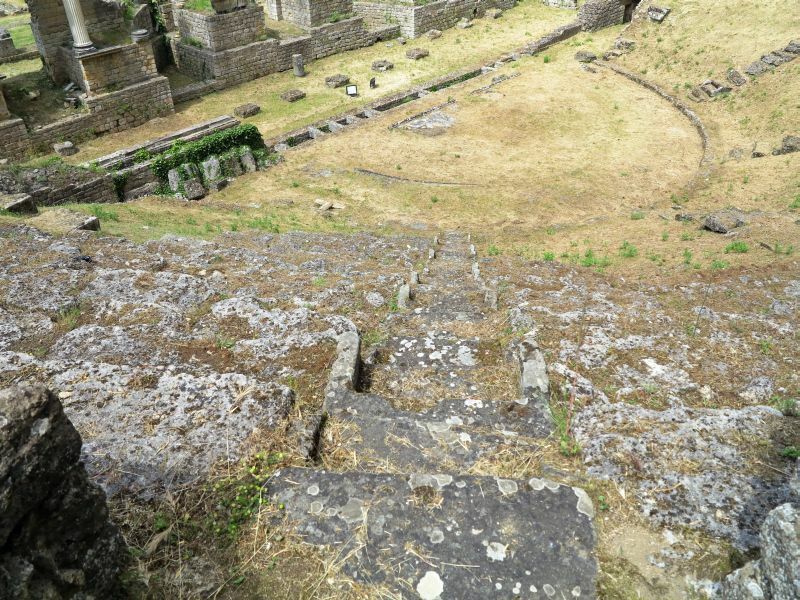 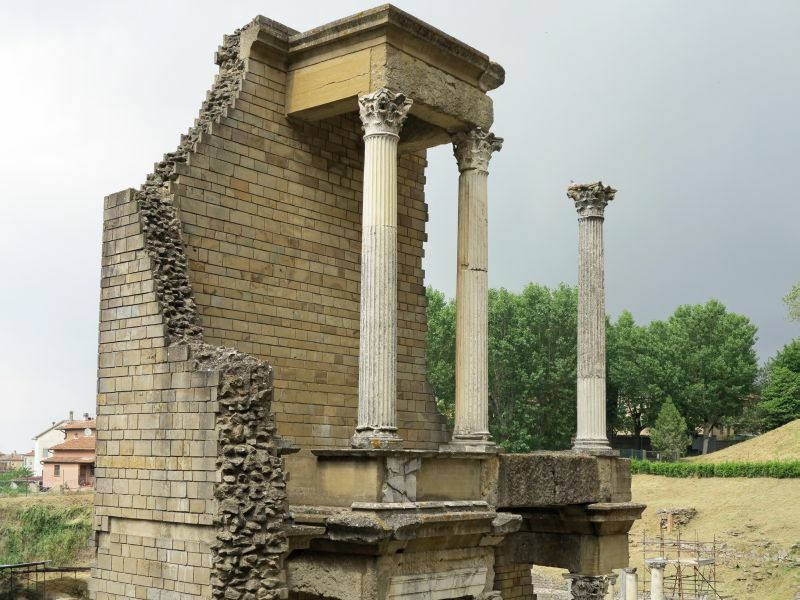 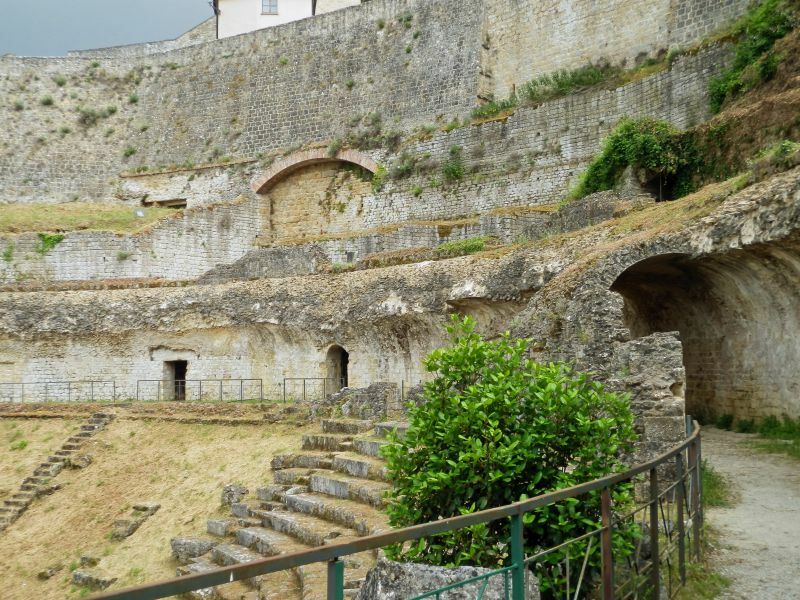 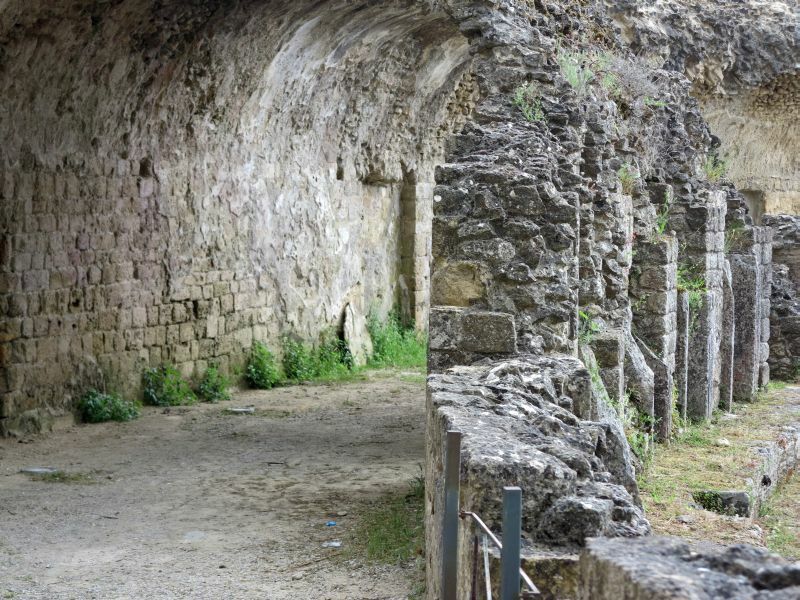 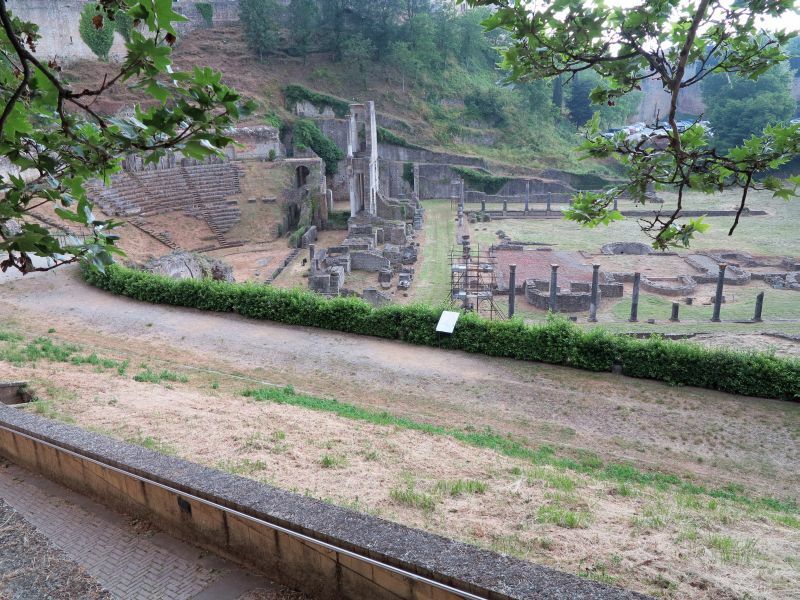 Especially interesting are the remains of the porticus post scaenam, a roofed area located behind the theatre, where the spectators gathered during intermissions.